It's been very busy this past month and this is a little delayed. When I went to download the pictures, I realized I didn't have very many and the ones I did have came out blurry. Bummer, but the children had a wonderful time, and that was my goal. 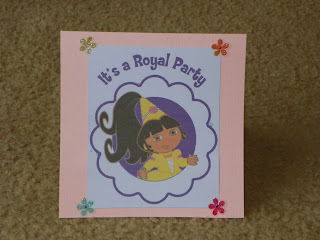 The theme was Princess Dora! I got her cake from Target. 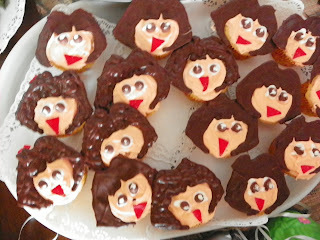 They were the only one's I could find that had Dora Princess. 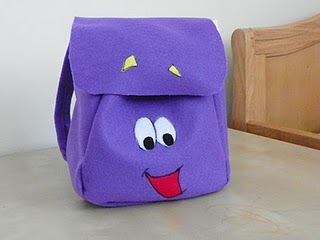 at Nickjr.com. They are not as easy as the tutorial make it out to be.
! 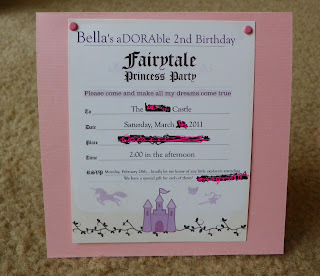 I used photoshop to resize and insert party information. Bella awaiting the opening of her presents! 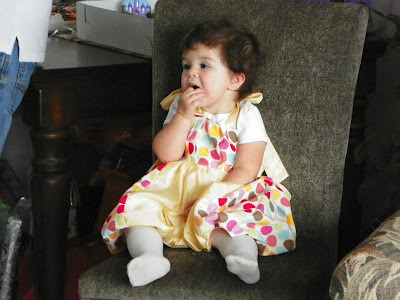 I made her birthday dress! and rolled them up like the map! with all the toppings, as well as some queso and a taco dip. 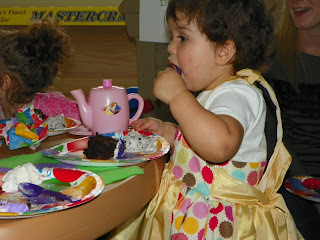 The theme was fiesta in honor of Dora! 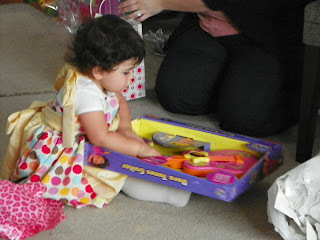 She was so excited for all her gifts! , which I used her doll house. The enjoyed the Puzzle Bridge the most! 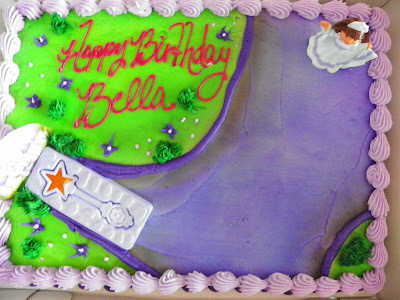 Posted on April 25, 2011 by Katie De La and filed under Celebrate and tagged Bella Birthday Celebrate dora.